All the love for Jack and Annie! Using Magic Tree House books in the classroom is nothing short of brilliant. First of all, kids absolutely love them. They relate to Jack and Annie, but they also love knowing more about historical events and scientific phenomena. I can’t tell you how many kids over the years have regaled me with tales about dinosaurs, mummies, and knights after reading one of the chapter books. Magic Tree House books are both engaging and accessible. These books help make the transition from easy readers to chapter books seamless. Their reading level is set at about a level N or 24, or roughly the middle of second grade. This means that anyone from your more advanced first graders to your growing readers in third grade can enjoy these books. It’s no wonder classrooms tend to have multiple copies of every book in the series. Magic Tree House: Adventures with Jack and Annie, perfect for readers who are just starting to read chapter books. Magic Tree House Merlin Missions: More challenging adventures for the experienced Magic Tree House reader. Magic Tree House Super Editions: Longer and more dangerous adventures with Jack and Annie. Magic Tree House Fact Trackers: Nonfiction companions to your favorite Magic Tree House adventures. We’ve culled 18 fun Magic Tree House activities for the classroom. Bookmark this post and come back to it year after year for new ideas. 1. Change up your classroom décor to reinforce reading. 2. Learn about the Iditarod and follow the real race! 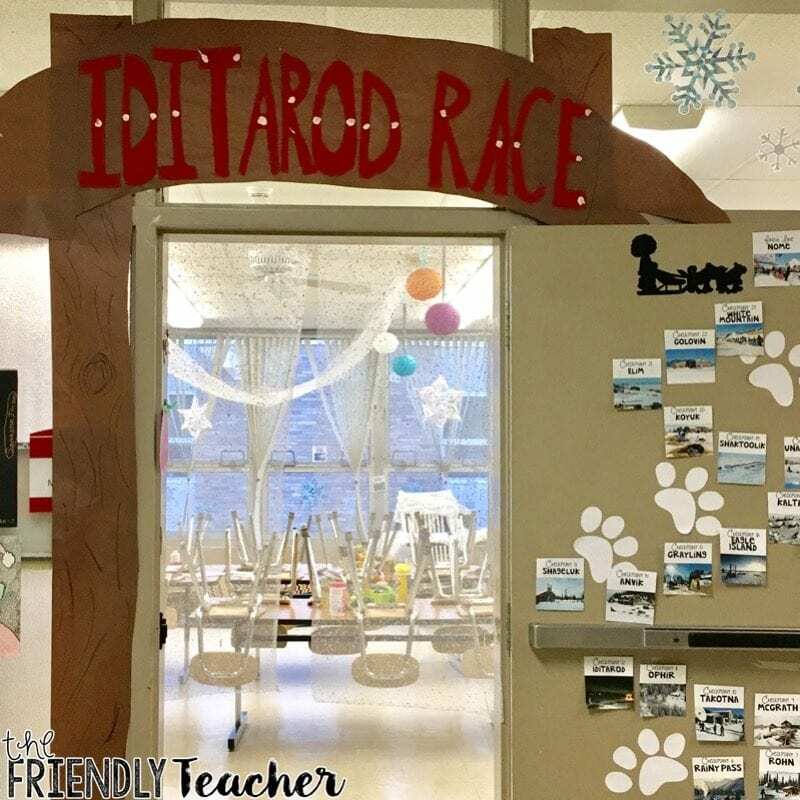 Read Merlin Missions #26: Balto of the Blue Dawn or the related Fact Tracker, Dogsledding and Extreme Sports, and your students will want to know more about the Iditarod. Don’t let that passion pass you by! Scoop it up and teach them all things Iditarod as the real race is run. Check out some ideas from The Friendly Teacher. 3. Bring humanity to your study of the Civil War. Reading Civil War on Sunday? Check out this homeschool mom’s amazing Civil War resources that will give you a whole lot of ways to help your students consider the human aspects of the war and the reasons for it. 4. Learn more about Jane Goodall. It doesn’t take long after starting Good Morning, Gorillas before you realize how great it would be to learn about Jane Goodall at the same time. Doing a side-by-side comparison of Goodall’s research and the learning in Good Morning, Gorillas would make for some great evidence-based reasoning conversations or writing. 5. Reinforce numeracy skills by challenging kids to put the series in order. Okay, so this may not be strictly related to reading, but since there are so many books in the series, you can use it to practice numerical order. Challenge students to arrange the series by the time periods during which the events of each book occurs. Have each student choose an antagonist from one of the Magic Tree House books and make a wanted poster about them. 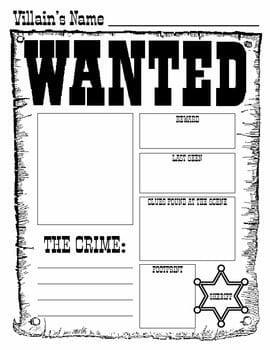 Show students an example of a wanted poster used to help identify and capture an outlaw. For each character, students should write useful information, such as a physical description, the crimes committed, the weapons used, any aliases or nicknames, and a reward for capture. Have students compare their posters. What do the characters have in common? How are they different? Throughout every Magic Tree House book, there are amazing cliff-hangers. We have to wonder what the letter M stands for or if Jack and Annie will make it back to their house. Choose a random moment when kids are reading or you are reading aloud and stop. Then ask kids to create a cliff-hanger that starts where you left off. They can either do them independently, or you can do it as a shared writing activity. 8. Teach students how to use a reading-response journal. 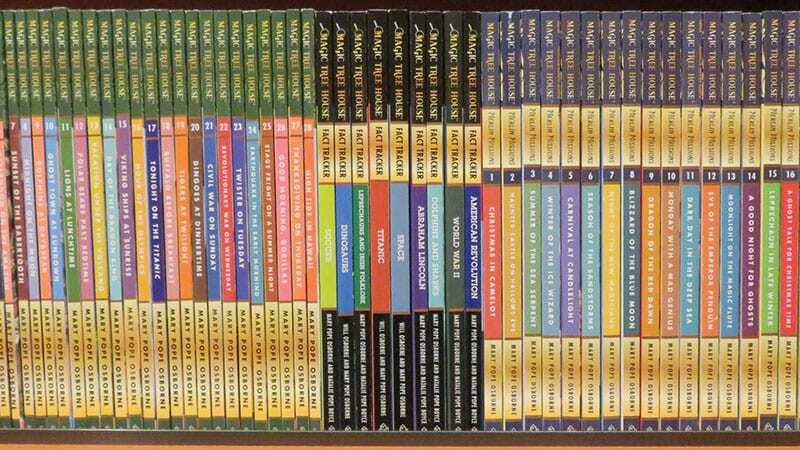 Many of the Common Core standards in reading can be addressed through an introduction to the Magic Tree House series. Michelle Scott, a first grade teacher at the North Star Elementary School in Hockessin, Delaware, won the 2016 Magic Tree House Educator of the Year award for her lessons on how to use a reading-response journal when reading Dinosaurs Before Dark. Once she teaches a project known as AFTER, the whole class celebrates with a Magic Tree House cake and activities designed around the book’s themes, characters, and setting. 9. Do reader’s theater based on the series. Invite students to create their own costumes and even work on developing your own scripts as a class. 10. Identify real versus pretend in historical fiction. In historical fiction, some things that happen are based on real life, and some things are made up by the author. Help kids learn how to identify the difference. Then, challenge two or more teams to generate all the true facts in a given book. They must show outside sources of evidence or proof to back up their ideas. 11. Study ancient cultures and countries. Kids get excited when the Olympics are on television. Let them bring their excitement into the classroom and learn even more. While reading Hour of the Olympics and its Fact Tracker, Ancient Greece and the Olympics, have kids track the differences and similarities between the Olympics then and now. Let kids explore their own questions, ranging from how certain sports got started to records held for different events. 13. Make a map that shows the setting of one of the books. Encourage students to include written labels and descriptions on their maps. 14. Try project-based learning (PBL). 15. Create riddles that can be solved by reading a fairy tale. I am transparent, sparkly, and shiny. I am smooth, sleek, and stylish. I am tiny and delicate. I fit only one fair maiden in the land. 16. Use LEGO bricks, blocks, or Minecraft to reconstruct Magic Tree House settings. When kids have completed a Magic Tree House book, have them recreate one of its scenes using a computer program or blocks. Then have your students put the books in front of their creations and take pictures of their work. Learning to include setting details can help students understand their importance in the story. 17. Make a time machine just like Jack and Annie’s. 18. Build stamina with a Magic Tree House challenge. In What Really Matters for Struggling Readers (2012), Dr. Richard Allington discusses a “strong positive correlation between the amount of time teachers allot for silent reading during the school day and the comprehension levels of students.” When you offer a child a book that engages and delights, you want to keep them hooked. Being able to offer more than 20 books gives them the promise that they will get to read more. The more they read, the better readers they will become. Challenge your students to read as many books in the series as they can. Show them how to do a book talk to inspire other readers. Set them up in groups to discuss books they have in common. Creating a book-loving community can start with Magic Tree House books. Do you have have some Magic Tree House activities you use in your classroom? Share them in the Magic Tree House Educator of the Year Contest, and you could win a trip to New York City to meet Mary Pope Osborne, $500 worth of books and supplies for your classroom, and more! It takes just a few minutes to apply—check it out here!